I was there Wed night for the early seating. Can’t wait to get back there with a few people so I can try more of the menu! As mentioned ealier, my other dishes are the whole fried snapper, skirt steak and penang curry. Oh and kee maw beef too. 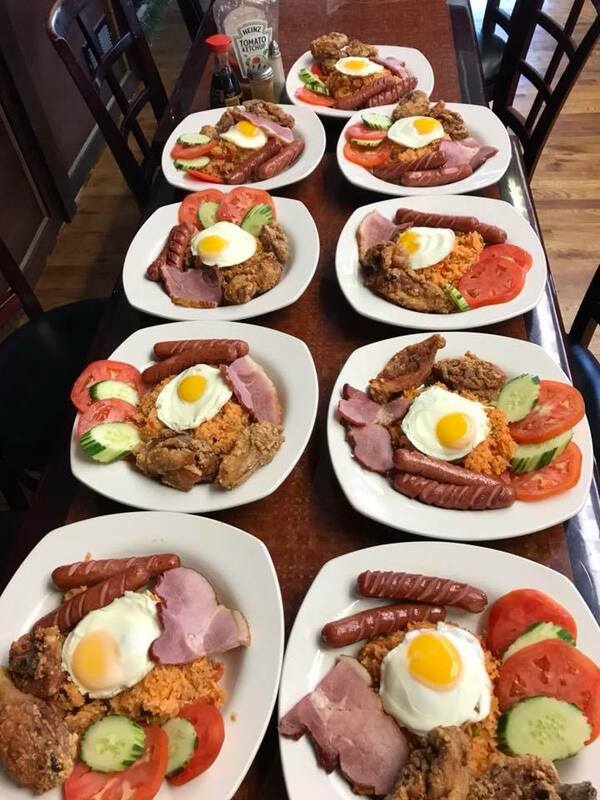 This was just posted to Kunya’s personal Facebook with the caption (in Thai): “American Fried Rice”. That looks awesome. Elements of an Irish breakfast even. Anyone happen to be going down that way tonight? 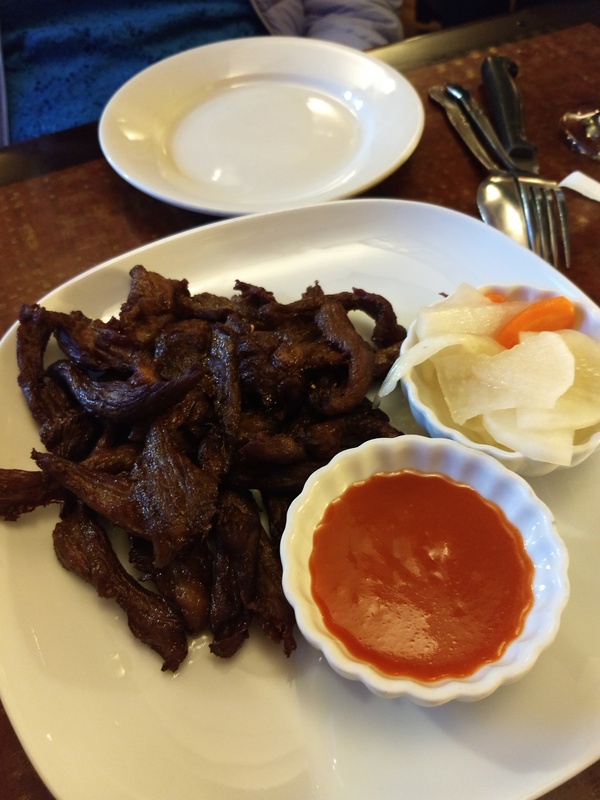 We had a yen for the skirt steak at Kunya Siam, so headed over there for dinner. As always, the meal was delicious. 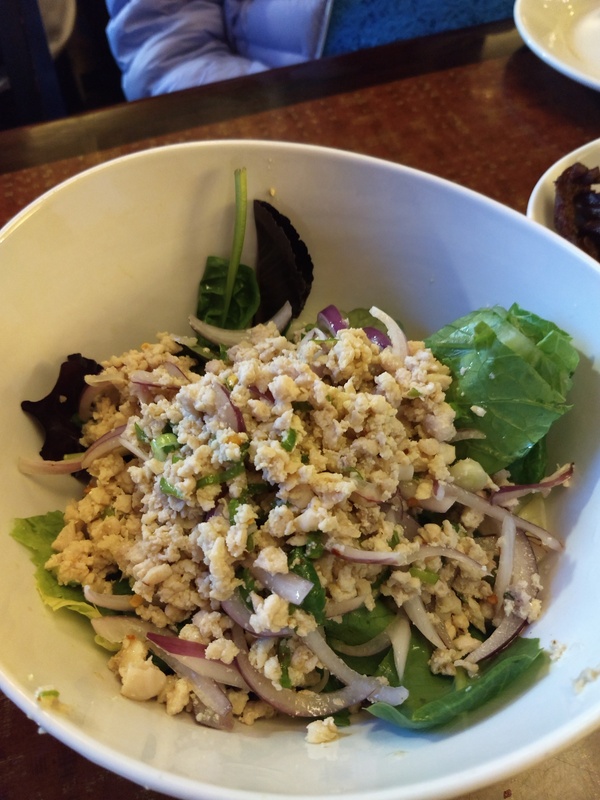 We always ask them to make us Chicken Larb, which is not actually on the menu. They are always happy to comply, and it was perfectly seasoned ground chicken with nam pla, basil, nuts, onions, and Thai chili peppers. My husband got the deep fried beef appetizer. Sounds weird, tastes great. 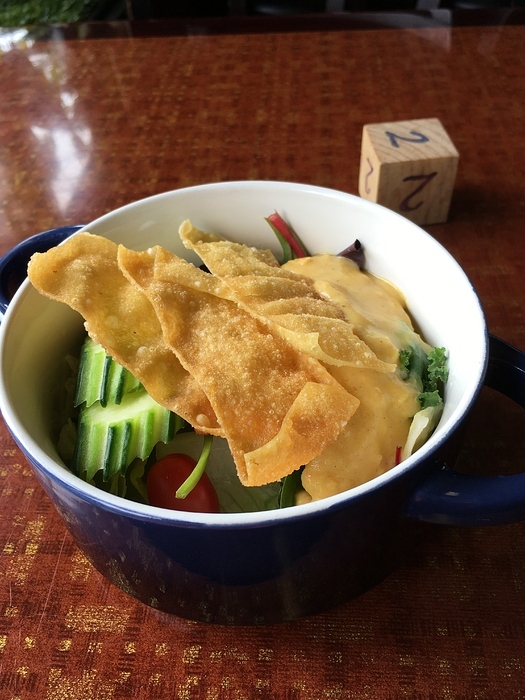 It comes with an addictive pickled veggie salad. He had the Tom Kha Gai soup, and I had the Tom Yung Goong for a change, a nicely spicy and sour soup with huge shrimp and mushrooms. It had just the right amount of spice to wake my palate up. 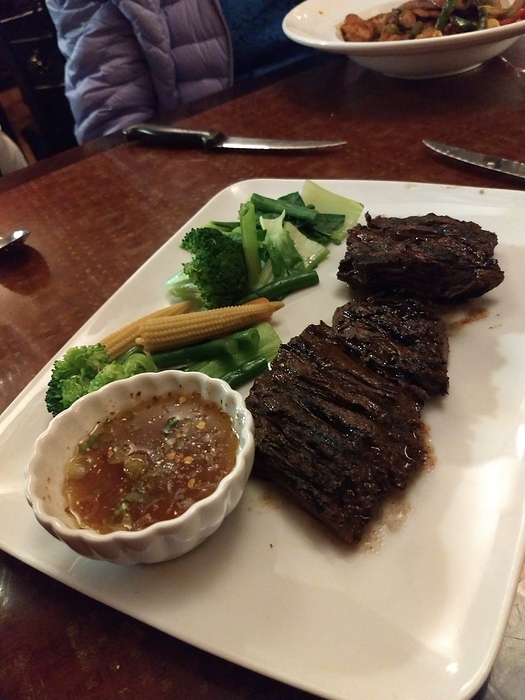 Two of us ordered the skirt steak, and it was mouth watering good, as it always is here. 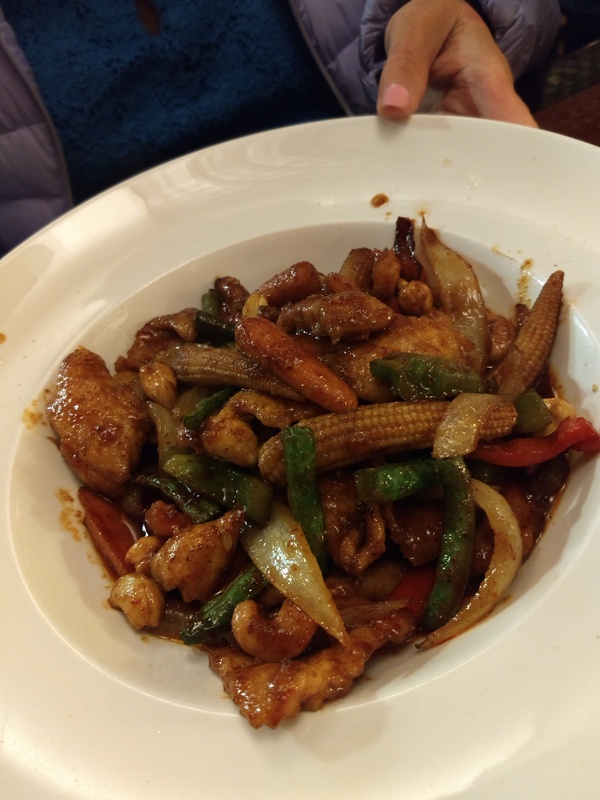 Our friend ordered the chicken cashew nut dish. Even though it was only one star, she still found it to be exceptionally spicy, but then, she is not a spice person at all. Other favorites here are the coffee duck and the pra lard prik, the whole deep fried red snapper. The owner is a nice lady. My husband and I spent a bit of time in Thailand, so we enjoy talking her about that beautiful country. 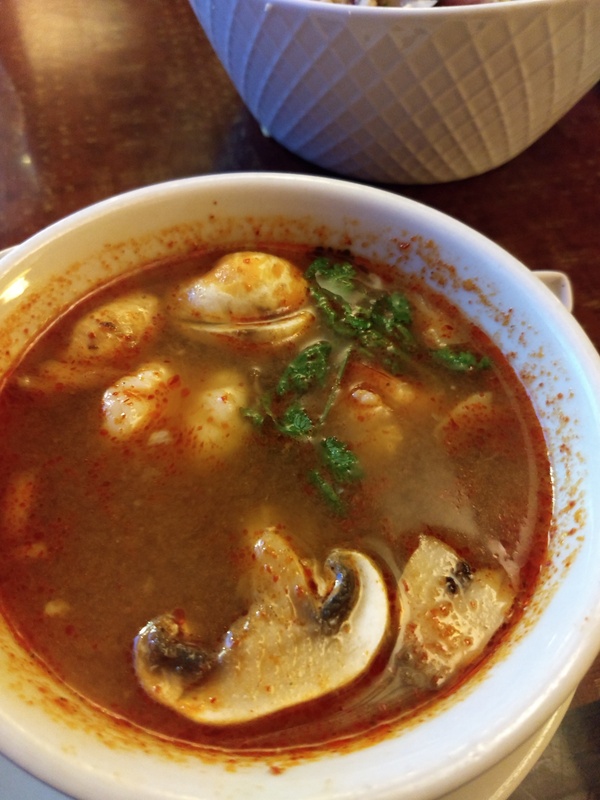 We have always had a good meal here, and go back and forth between here and Bangkok Thai in Eatontown. I dont know when they added fresh spring rolls to the menu but I have been stopping by for a fix for a few weeks on my way to Rumson to visit relatives. We enjoy the lunch specials every few month. And, yet I wasnt aware they host an annual holiday events. Their outdoor garden is very special. The restroom is a bit off putting. We have similar tastes! I get the same dishes and soups. 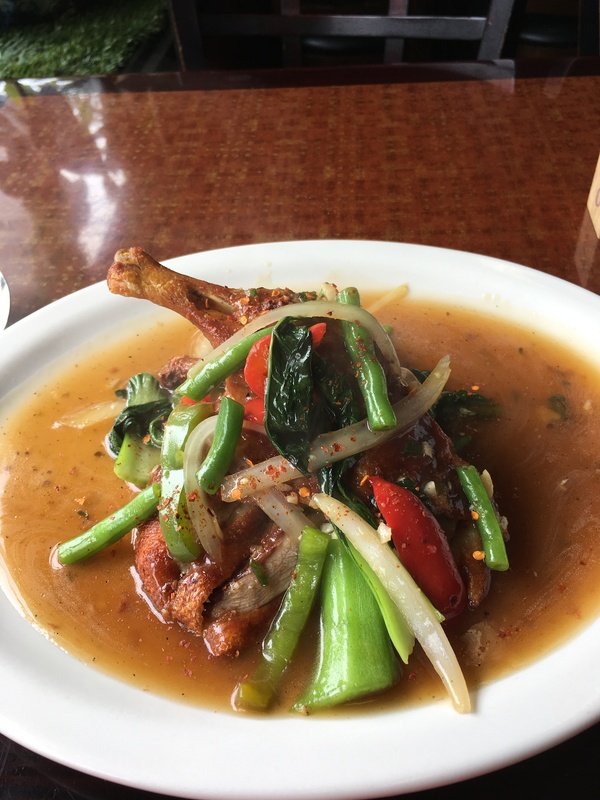 I think the beef salad edges out the larb though and I’ll take the basil duck usually over the coffee duck. And yea, they should drop 2 grand and update that bathroom! For anyone interested, Kunya Siam will be holding their Thai New Year celebration on April 14th. Details are very limited right now. She has not advertised it yet but is already taking reservations. There will be three seatings. First is 3 PM, last is 7:30. Assuming the second will be 5 or 5:30. Guaranteed to sell out. Multi-course meal plus entertainment. Price is TBA but last year was $40 per person (well worth it IMO). Last year was like a “greatest hits” preparation, the most expansive she has ever done. See my pics previously shared in this thread to get an idea. If that isn’t good enough, you get to meet me too as I will be working with her yet again! Call the restaurant for more info. I’m trying to get the specifics for PR purposes before she goes to Thailand for her annual trip in a couple weeks. Anyone going to Thai New Year tomorrow? I’ll be working the event all day. There are three seatings and they sold out so fast that I didn’t even bother advertising it here. We’re not going but now I wish we were. We will be there! 5:15 seating! Looking forward to it!! My wife and I had a great time. Both shrimp dishes were very tasty. The fresh spring roll is a personal favorite. The duck was tender and flavorful. 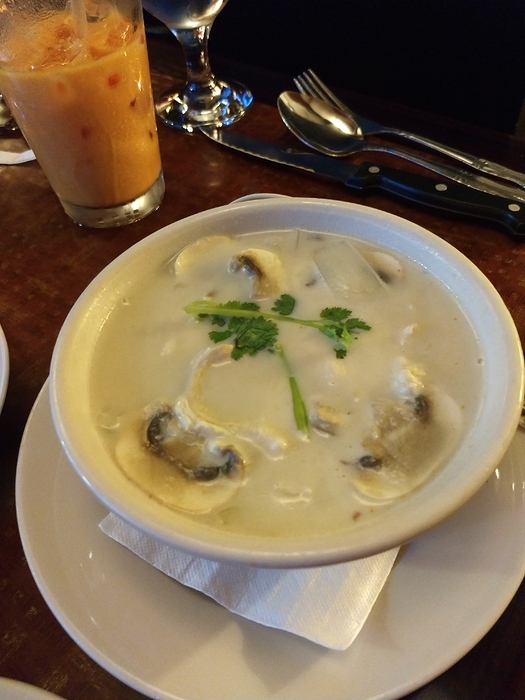 The only menu item that didn’t appeal to me was the soup. The entertainment was fun and the guests to my left and right incredibly friendly. I didn’t expect to leave with gifts and a gift certificate door prize towards a future meal. I understand why this special celebration books quick! Hopefully another HO took photos. I was too busy watching the dancers and enjoying the meal to pull out my phone. It was a really nice event. It was really cool that here we were in the middle of Atlantic Highlands and this “authentic” Thai New Year celebration was happening. Kunya was a gracious and warm host as always and we were grateful to be there. This restaurant is really a community gem. Did I meet either of you last night? Someone introduced themselves but I was a bit distracted and didn’t hear the name! It was insanely busy and I was all over the place. Sorry Greg I didn’t see you. But thanks for the heads up on the event! Sorry I missed you. You are welcome! It was a crazy night. I was in our downstairs kitchen and prep room most of the night (after wines were opened) getting the trays with the entree samplers ready. My friend and I were then in charge of expediting them upstairs. 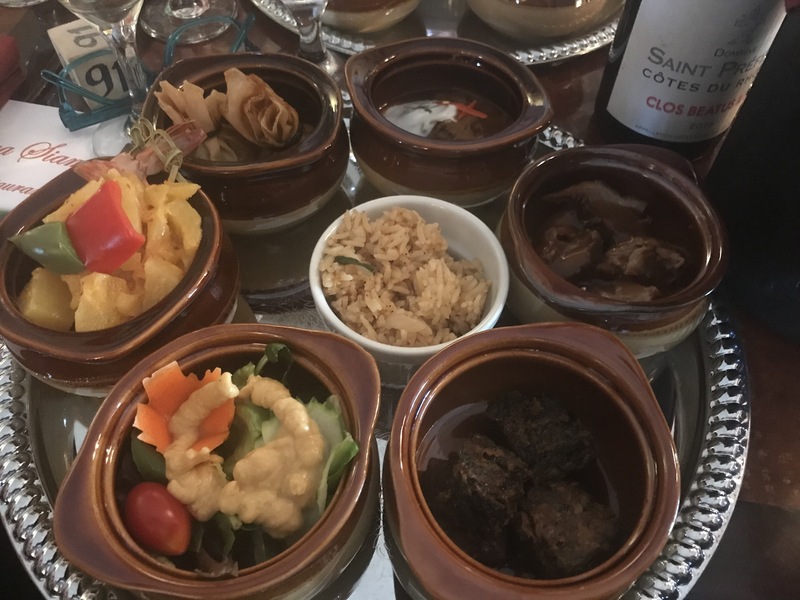 We would plate five of the dishes, and the servers would then pick up the duck and fried rice in the upstairs kitchen before hitting the dining room. Sometimes we had an assembly line out of the basement. Sometimes it was just the two of us, up and down, up and down. Can only take one tray at a time because of the weight of the crocks and the tight squeeze on the stairs. We had 54 people per seating, all fed at the same time! I regretted going to the gym earlier in the day because that was the real workout. I had to remove the ceremonial shirt Kunya gave me because I was dying!